Valencia, 27th of november of 2017.- The company called Netbeast has begun a crowdfunding round, to be closed on January 2018, through the online investment platform Crowdcube. 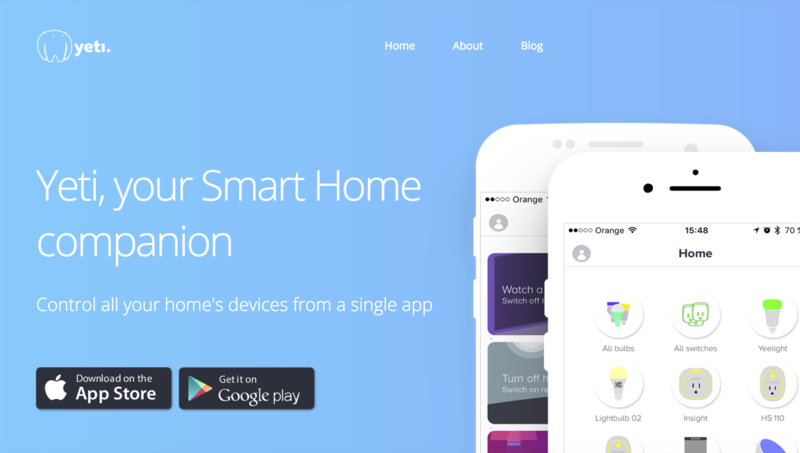 Their target is to raise at least 190.000€ to continue expanding their support for new brands and becoming the number 1 smart home app in the USA, where they are predominant. Netbeast’s goal is to allow everyone to control their homes remotely through a mobile app that acts as a universal remote control that also automates daily tasks for home appliances which is exactly what Yeti does. Wayra, an international network of corporate accelerators that previously invested on the company, will also participate in this round alongside several European business angels. Any private investors that wish to participate in the funding round can invest any amount of their desire to get in return shares in Netbeast, alongside exclusive advantages that the company is offering for investors participating in this round depending on the amount they invest. “We seek to secure 190.000€ of investment, of which 115.00€ have already been committed”, explained Netbeast CEO, Jon Senra. Some of the advantages that the company is offering for investors include getting exclusive priority access to Yeti’s latest functionalities before anyone else, free access to Yeti’s premium version or even getting a tailor made consultation from one of Netbeast’s team members so to design their own smart home. “Our main goal for 2018 is increasing the number of supported brands by Yeti up to over than 20, which will allow us to reach most smart home users”, he mentioned. Once they achieve this, the team will begin their strategy to push commercializing of the app at a national and international scale. Netbeast is also complementing the funding round with a 60.000€ grant from the Spanish Ministry of Economy, Industry and Competitiveness which has already been granted and several other fundless grants. In total, the funding round will be of 300.000€. Netbeast is a startup funded in 2015 by Jon Senra, Pablo Pizarro, Jesús D. Rivera, and Luis Pinto, who all met when they were studying at University and begun their joint venture. Since then, they have received support by some of Spain’s most prestigious startup accelerators such as Lanzadera, Wayra or Plug and Play.